Villani will explore how mathematicians, obsessed with the notion of elegance, consider themselves as artists and poets in a form of art that is more alive than ever. Examples include the collaborative images of mathematician Richard Palais and graphic artist Luc Bénard created using 3D-XplorMath software, and Man Ray’s Shakespearean Equations paintings that were inspired by photographs of mathematical models made in the 1930s. 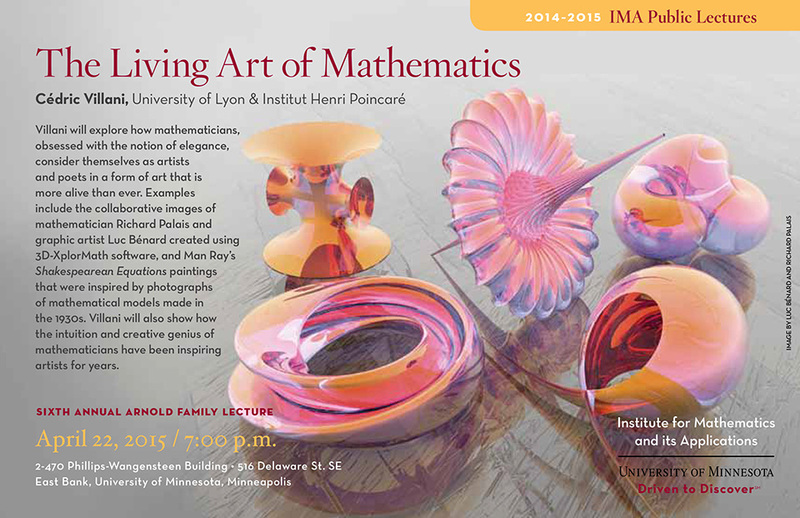 Villani will also show how the intuition and creative genius of mathematicians have been inspiring artists for years.